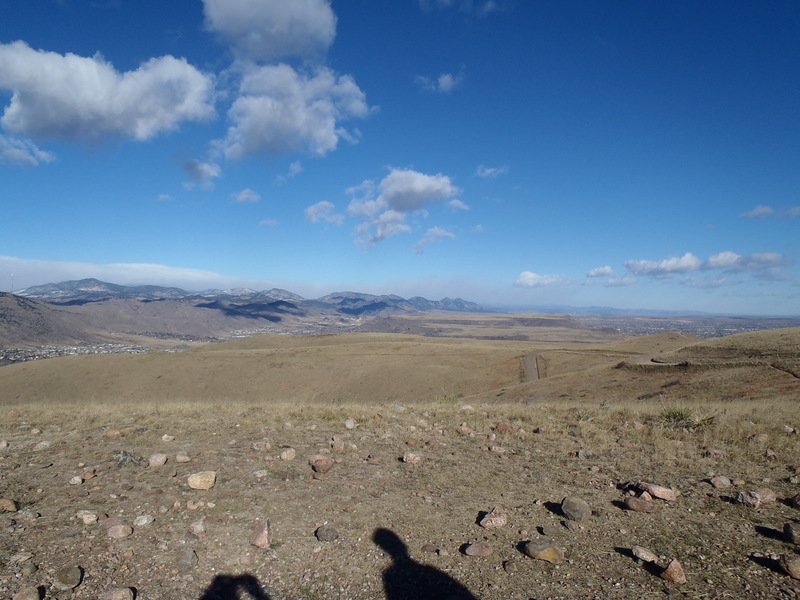 Trail Length: I thought 4 miles but we came up short at the summit and then went long…. so we got in 5 miles. Degree Of Difficulty: Easy to Moderate, although I have heard the Rooney Road start point is a considered a hell climb I don’t think it is that bad. I have come across meet up hikes a lot while researching for hikes we might attempt. 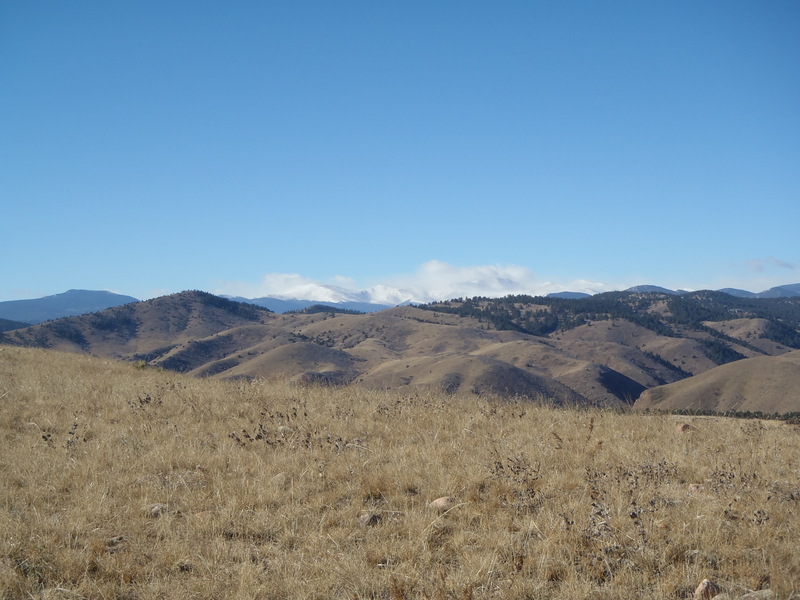 A few months ago I realized I needed to spread out, meet new people and learn more about hikes in Colorado. So I signed up for Meet up… have you ever seen meet up or taken part of an event by them? I am strangely curious. There is one group that is a hiking after work group and I thought, why not? 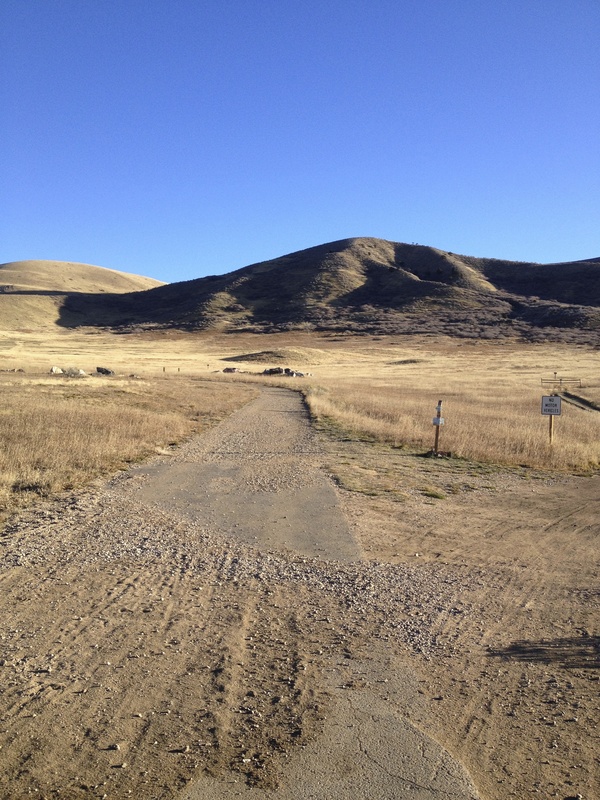 I also asked my girlfriend Lisa if she wanted to try meet up and to submit for this hike….. we both got in. Come hiking evening, Lisa had a lot going against her and didn’t make it very far, while I went on to finish with lots of curiosity about what this trail looked like during the day. On the way home we were chatting about the hike and she really wanted to beat it, since we had a girls hike coming up I figured why not. I usually try to pick easy hikes and this hike is at its core easy, what is hard is that initial climb but the rest of the park is relatively easy. 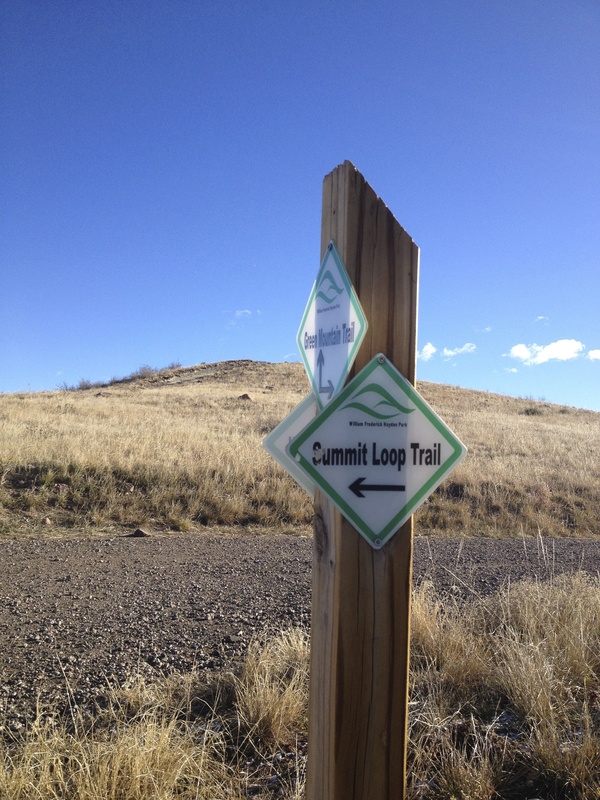 The trails are very well planned out, wide and have VERY high usage. On this day, the forecast was for 40-60 mile an hour winds during our hike. 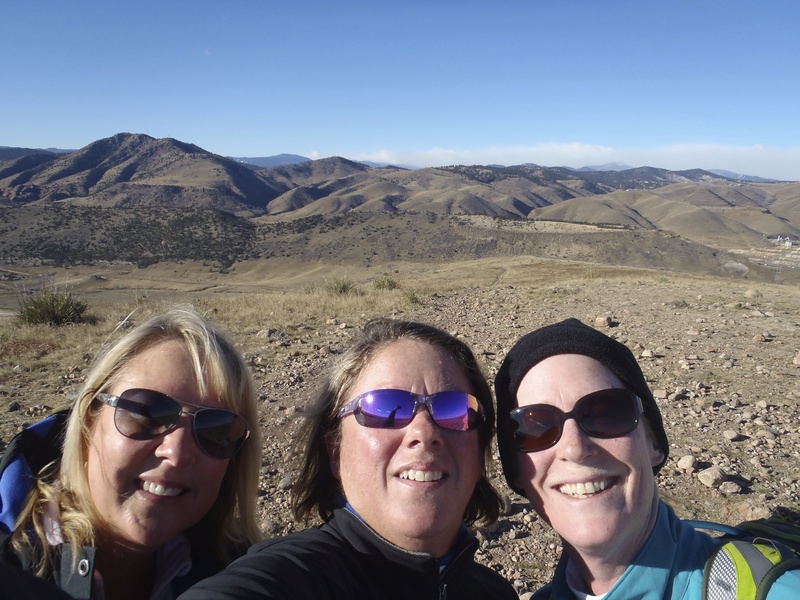 I seriously considered canceling….. but I really super love these hikes with my girlfriends and I wanted to give Lisa that chance to beat this hike, plus sometimes the weather forecast is off. So instead I texted them all late Saturday night to say prepare for crazy winds. 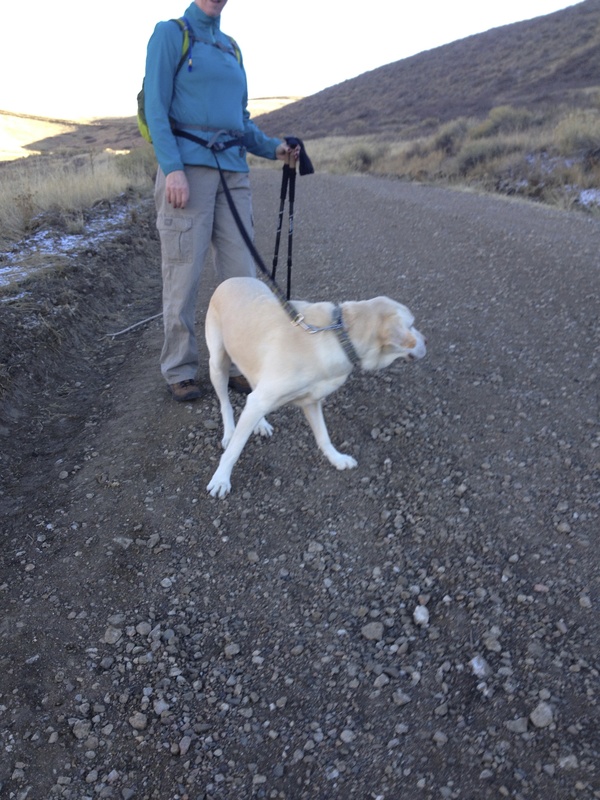 We got tot the trailhead at 7:30…. with NO wind (stupid forecasters) . 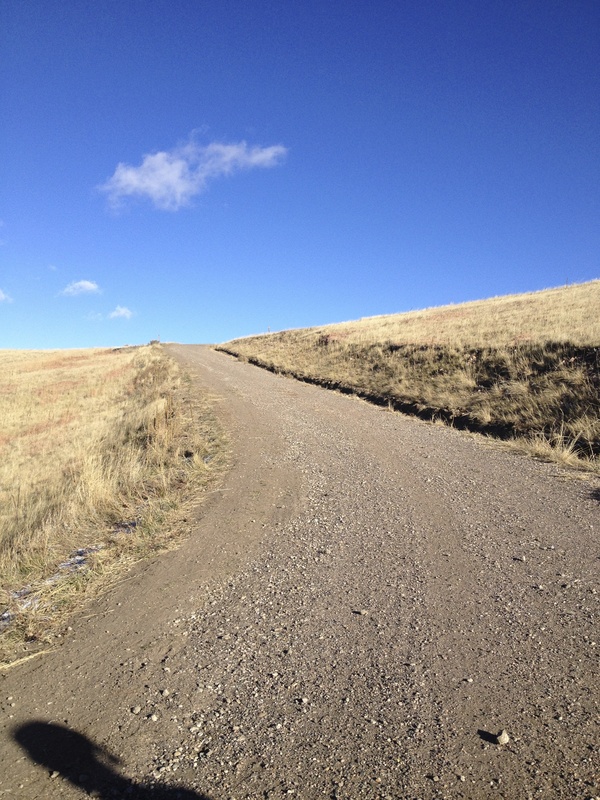 This trail is really popular and that morning was no different, but we still had the freedom to move at our own pace. Our goal was to finish and not worry about time, my company was amazing! They hadn’t exactly worked up to a 700-800 foot elevation gain in just a mile but they were troopers every step of the way. 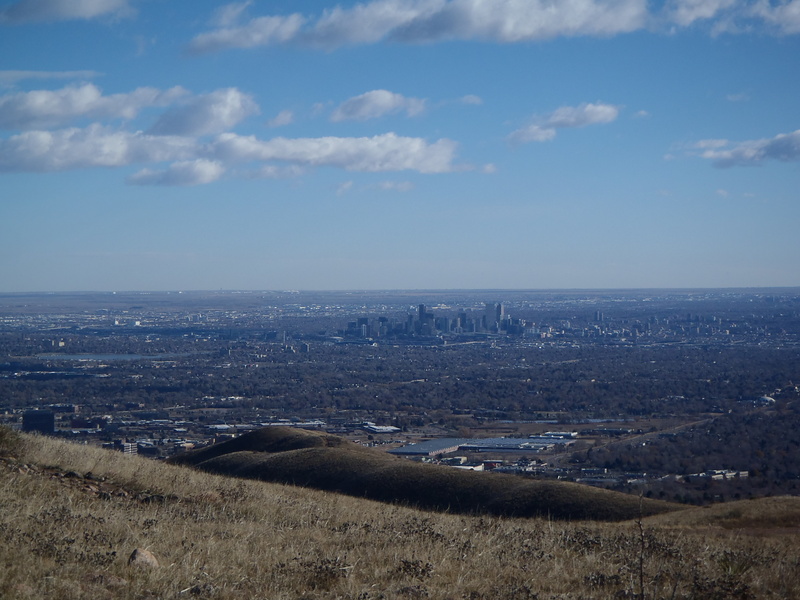 We made our way up the beginning to come up to the most amazing views of the front range and Denver itself. 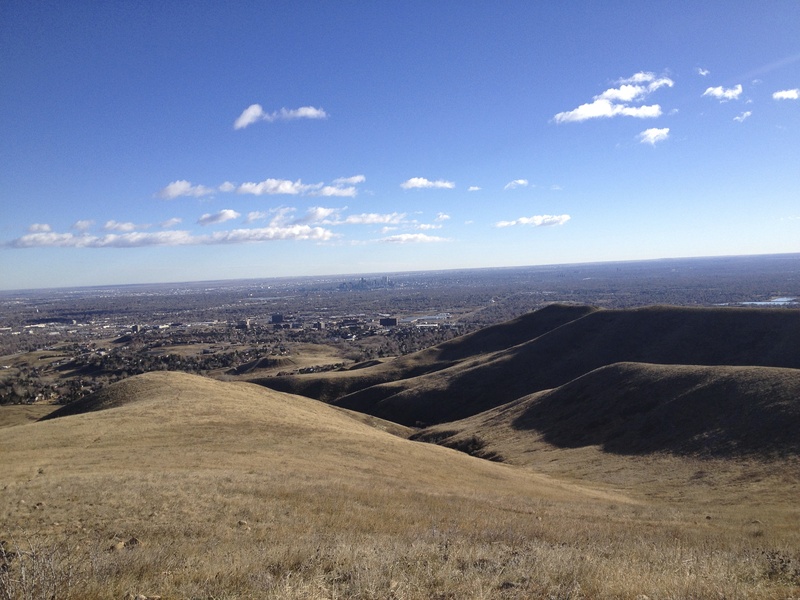 The view is always the best part of any hike… oh and I am always looking to gain more converts to my love of hiking…. good views SUPER help with that. Karin and Lisa did awesome! I promised them that we would summit and had own since I knew the summit was more than they had prepared for, what i didn’t expect was for them to want to do more. I was thrilled! Lisa, Karin and Levi( Karin crazy adorable dog) were super troopers in wanting to push themselves a little further to see more and work harder that morning. I said I am totally willing to push when they say the word so we headed over to the tower further down the path. It was a great morning I could see the summit lust in their eyes, it happens when those views are perfect like there were that day. The nice thing about getting a taste of summit lust, is it makes you want to see more. We were talking about harder hikes in the future for more amazing views…. 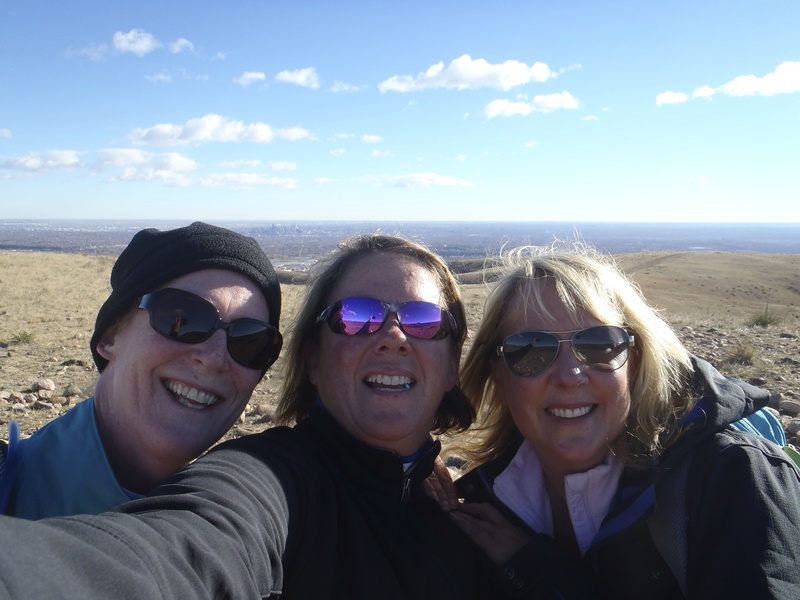 I think I am getting them hooked, yay me more hiking buddies!!! I have come to appreciate this hike for how close it is to home and how easy it is to get too. I am looking forward to getting more people there to feed their summit lust.